This is the real issue! Will having UV brighteners in your hunting clothes really make that much difference? Unless you are hunting at dusk or dawn, it’s not a big issue. I’ve run an informal test on the issue over the past years and have decided the following: It matters if you think it does! Hunters who don’t worry with uv brighteners in their clothing seem to bag as many hunters as those who carefully protect their clothing from the brighteners. Be Careful; These Birds Are a Whole Lot Smarter Than They Look! However, where you hunt could be a factor: There might be a difference between hunting on public lands versus hunting on private leases. I haven’t researched this. What I mean is that hunters on private land may have less competition for turkeys. Thus, the turkeys see fewer hunters — with or without UV brightener-infested clothing. And turkeys certainly learn from their interactions with hunters. 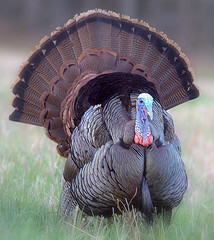 The more hunters there are, the faster turkeys have to respond to stay out of the crosshairs of the hunter’s gun. So, hunters on public lands may need to be more careful about the issue of UV brightened hunting clothes than others. The more hunting pressure in a place, the more each factor counts. Deer and turkeys see colors differently than most other animals. They seem to be red & green color-blind. That’s why you can wear blaze orange hunting wear without worrying about being seen by deer or turkeys — green, red and orange are non-colors to them. Biologists say that having patterned clothing (camo wear) that blends in with the landscape is more important than its color. The scientists warn hunters about wearing large patches of unbroken color. Specifically, don’t wear two specific materials: vinyl and plastic. Why? Because they reflect light. It is not the color of these two materials that’s important, but the fact that light reflects so readily from them. Have You Missed the Other Parts of this Series? FYI: This info is just one section of a multi-part series on Mistakes Turkey Hunters Make – it has run here for the past couple of weeks! Missed the List of Good/Bad Washing Products for Your Hunting Clothes? What Should a Hunter Do? The solution is obvious: Only buy hunting clothing without UV brighteners! 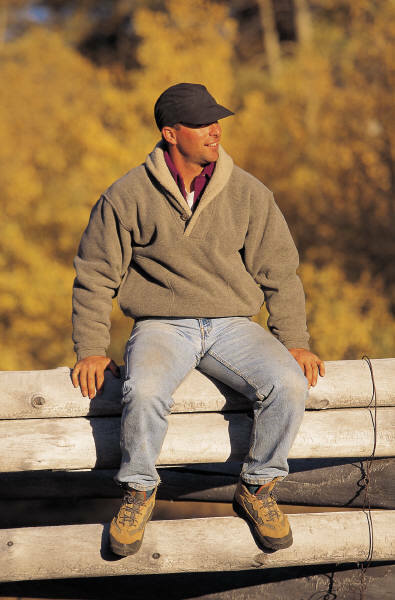 Another solution is to wear wool clothing — it does not have added UV brighteners. This problem has been around long enough for the hunter’s screams to have been heard all the way to China! UV Brighteners in Clothing are Most Notable to Turkeys and Deer in Low Light Conditions! So, is the Problem Gone? No. Essentially, there are 2 parts to this issue: new hunting clothes and the ones you already own. Even companies that promise they have added no brighteners — fabrics that became parts of the garment — pockets, lapels, etc. — may have been treated before sale to the manufacturer who made the clothes. If your kids have a black light, you are in business! Black lights will make any clothing with UV brighteners glow in the dark! Use their black light to test your hunting clothes. If you don’t have access to one, you can order a black light flashlight on the Internet. You can also take it shopping with you; find a dark area and check to make sure the hunting garb doesn’t glow. Be particularly careful to test hunting clothes on the clearance racks! Guess why they might be there? This is the ugly part of the story. If you are like most hunters, you wash your clothes with whatever clothes washing powder or liquid is available. Most of those products add UV brighteners to clothing — permanently. Once UV brighteners are added to clothing, there’s only one way to remove them. There’s a product sold online that removes it. I’m not interested in helping them sell more products, so I’m not mentioning their name. I’ll explain more in Does it Matter (tomorrow’s part). I’ve done research on this issue and have a list of names of regular grocery store products that you can use that will NOT add UV brighteners to your clothes. The list is extensive — both the good and bad products. Bear in mind that you must never use the “bad” products on your hunting clothes — even once. Come back tomorrow for the final part of this article! I believe that a hunter’s site of “up wind” versus “downwind” is more important than the soap used! Developing an understanding of the terrain, winds and wind thermals seem more important to me. In fact, I’ve read that the number 1 rule of success during a deer hunt is scouting the land before-hand! Having knowledge of deer trails, checking spore and knowing where water lies, are important to success. Deer are much more sensitive to scent — and they can detect scent from greater distances. There are some products that promise to remove scent from the hunter. I wonder if they work? Could it be that deer notice when there is no scent, as well as when there is too much human smell? You might want to take note of some of the interesting suggestions hunters offer to handle human scent (See: For the Hunter with Everything, Including UV Brighteners! and More Tips to Hide Your Scent). I think a hunter’s movement is another important consideration. Only you can decide how important this issue is to you. Perhaps the UV brightener-killer is right for your needs. However, I read something from R. Henshaw (on a forum). I’ve decided that ‘it’s a plan.’ Before I try the high-priced solutions, I’m going to keep it simple. Another idea I’m considering: Repair MDH’s (my deer husband’s) old hunting clothes, languishing in the back of a closet! One company is touting their wool hunting garments as an alternative to the ‘glowing goods’ that seem to be everwhere in the stores today. However, I think there is something close to ‘undue concern’ about the glowing hunting goods, to the exclusion of issues that just might matter more. **For more info about the amount of borax to use, go to article, “Words of Wisdom & A Bit of Humor” and look at the bottom paragraphs. Remember: Scent and movement are more important (they can be seen/smelled further away) than the color of your clothing or whether it has UV brighteners. Many of the hunting clothes made in the past few years have UV brighteners in them. Most of the laundry products on your grocer’s shelves have UV brighteners. They make clothing look brighter and more attractive. Unfortunately, turkeys and deer can see those UV brighteners – especially in low light conditions! What’s a hunter to do? If you buy hunting camo wear without those pesky UV brighteners, there’s a way to keep them out of your camouflage wear. You can buy an expensive product at a hunter’s supply store or you can use approved laundry detergents from your local grocery store. It may surprise you to know that law enforcement and military uniforms cannot be washed in products with UV brighteners. Here are products members of law enforcement and the military consider safe. **** More about this next time! In the past few days, I’ve explained that deer and turkeys see colors differently than most other animals. They seem to be red & green color-blind. Turkeys & Deer See Differently than Other Animals! That’s why you can wear blaze orange hunting wear without worrying about being seen by deer or turkeys — green, red and orange are non-colors to them. Biologists have increased our knowledge of ‘what makes turkeys tick’ in significant ways. One of their recommendations has to do with camo clothing. Biologists say that having patterned clothing that blends in with the landscape is more important than its color. The scientists warn hunters about wearing large patches of unbroken color. Two specific materials are discouraged: vinyl and plastic. Why? Because they reflect light. It is not the color of these two materials that’s important, but the fact that light reflects so readily from them. If you are concerned about this issue, there’s a product available that will remove the UV brighteners. It is manufactured by ATSKO (www.atsko.com), the U-V Killer. Once this product eliminates the “glow,” you will need to always use their washing liquid to keep the fabric safe. Another company is touting their wool hunting garments as an alternative to the ‘glowing goods’ that seem to be rampant in the stores today. Next time, I will list all of the washing products that I know of that are on grocer’s shelves that will NOT add UV brighteners to your hunting clothes. It’s a surprisingly long list. My husband and I’ve discussed this issue ‘ad nauseum.’ Should we toss his clothes and get new ones, without UV brighteners, and then use products that won’t add the brighteners to his new clothes? MDH, Richard, decided to conduct tests regarding this issue. He decided that if he stopped getting his limit of deer and/or turkeys, he would buy new clothes and get serious about UV brighteners. The results are: In the past 4 years, Richard has gotten his limit each time he’s gone hunting. However, he has friends who worry a great deal about UV brighteners. Richard’s conclusion is that if you think that the UV brightener issue is important — it is. If you think there are more important issues, other than the brighteners — you’re right too. Your belief system about this issue is the most important ingredient! Next Time: Grocery store products that won’t put UV brighteners in your hunting clothes! Last time, I was talking about the senses of wild turkeys. On the subject of turkey’s eyesight, I mentioned 3 ways to handle the UV brighteners in most hunting clothes. This guy sees the "blue" in blue jeans clearly! The issue of UV brighteners has been with us for several years. Take a look at the ground-breaking study of the University of Georgia (see below). He refers to deer, however, wild turkey were found to have the same eyesight abilities. Folks in the forums have been discussing this issue since the study became common knowledge. And when Atsko came out with products to “remove” UV brighteners from hunting clothes, the discussion became more intense! Hunters have taken positions on both sides of the aisle. Some talk about the fact that our ancestors did just fine hunting with what they had at hand. Some hunters are of the mind that they should use every tool at their disposal. If you feel the need to make sure that you have every advantage in a hunting situation (i.e. : removing UV brighteners from your hunting clothes), so be it. It’s not my place to tell you what to use or do. I can only tell you about my experiences. I’m not planning to burn all of my husband’s hunting clothes, even though they have all been washed in detergents. I’ve decided to take the long view: Reading the reports by the scientists conducting the tests, I can see there is a problem. However, the scientists admit that deer and turkeys see this “blue glow” at two distinct times: early morning and late evening. This is during low light conditions. True, deer seem to be more active during both of these times, while turkeys are active in the early am. During regular daylight hours, the animals’ (deer and wild turkey) eyesight seems to be less acute. BTW, this study (and others) did comment on wearing blue jeans while hunting deer and turkeys: Don’t. The blue in jeans is very obvious to the eyes of deer and wild turkey! Next Time: More on this Issue! Karl V. Miller, School of Forest Resources, University of Georgia. This is an excellent overview, in layman’s terms. Few are Sitting on the Fence About this Issue! During my convalescence from shoulder surgery, I’ve had the time to read a variety of views expressed (via Internet) on the issue of UV brighteners and masking one’s scent from deer and turkey. One thing I’ve learned is that few people are on the fence regarding brighteners and scent masking! Everyone seems to have an opinion. They see the issue of camouflage as more important than the deer’s eyesight (whose color vision is also average during daylight hours). In general, large areas of unbroken color are not recommended. As long as the hunter’s clothing blends in with the terrain, the hunter is “OK.” Thus, this study recommended using camouflaged clothing. The study recommends both camo and orange (for safety – so other hunters can see you). Some states still do not allow hunters to wear this combo, however. Another issue: Do not wear plastic or vinyl. Why? These two reflect light. So, the same reason you wear a face veil — to decrease the light your face reflects — is the reason for avoiding plastic and vinyl. The issue of “UV brighteners” comes into play only during low light conditions! They are talking about early morning and late evening. In these conditions, deer see UV brighteners. You and I know that, unfortunately, deer tend to be active during these times. * The study I’m referring to is the cooperative effort between the University of Georgia and the University of Wisconsin. This group of scientists proved that deer see only two colors — yellow and blue. Disclaimer: I don’t sell any products I mention in this series. This is strictly educational information. This just might be “pure genius in a bottle!” Because of the hydrogen peroxide, I’d put this on par with Oxi-Clean — for a lot less money! Place 2 cups of water in an empty spray bottle. Add 2 cups of hydrogen peroxide and 1/2 cup of baking soda. Stir in 1 oz. of unscented shampoo and place the top back on the spray bottle. Shake the bottle and then spray your hunting clothes down with the mixture. This will freshen up the clothing and take away any odor the hunting clothes have. This will keep animals from smelling you and give you a better chance of catching one. Use this formula on hunting clothes that you’ve already washed with residue-free detergent. Why Use Baking Soda/Washing Soda for Hunting Clothes? – Both products are natural and have been used as washing products for more than 100 years! – There are no additives — they are pure products (there are no UV brighteners). Hunters use a variety of ways to mask their scent while hunting. Some buy every jim-crack and ge-haw available. And that’s OK, if you have a gushing oil well in your back yard. These additional tips are for hunters interested in having a good time, without over-spending…. – Unscented Arm & Hammer deodorant uses baking soda to absorb your scent — for a lot less money than the fancy hunter’s brands. – Shampooing before going out on a hunt? Be sure to leave the tooti-fruiti smelling shampoos on the shelf and use an unscented brand. – Some hunters are so serious about de-scenting themselves that they wash their bedding, towels and sleeping bags in unscented detergents. – Other hunters don’t want house smells to contaminate their clothing/bedding/etc. They leave these items outside – at all times. – Instead of storing hunting clothes with pine boughs, etc., some hunters store theirs in sealed tubs or plastic bags with charcoal in the containers. They state that they do not remove their clothing from the bags/sealed tubs until they are ready to hunt. – One of the most unusual ideas: Avoid wearing your hunting boots and clothing in a cafe or to a gas station! For the Hunter with Everything, Including UV Brighteners! Last time, I shared with you the brand names of the detergents that do not add UV brighteners to your hunting clothes. Taking Care of Your Hunting Clothes! Is for those of you who have clothing purchased with UV brighteners in them or you have washed your hunting clothes in the wrong detergents. Believe me, I’ve tried everything: multiple washings with concocted brews and a variety of products. 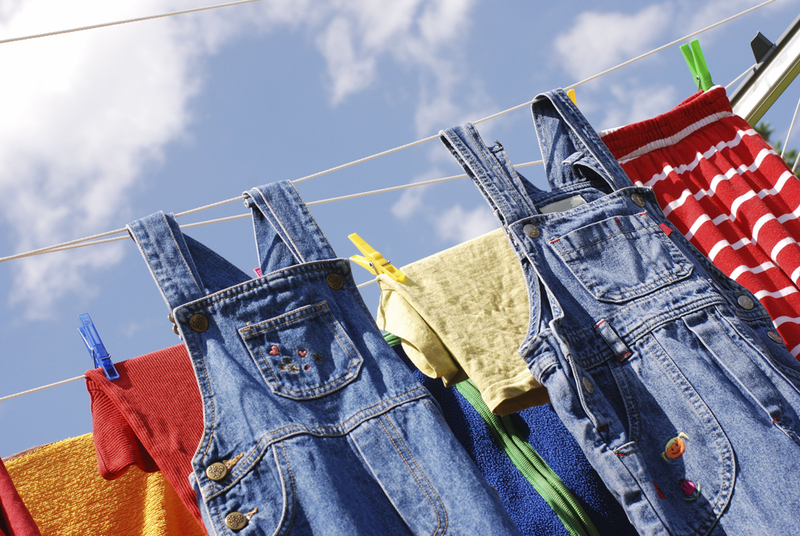 Repeated washings will not remove the brighteners, once added. If you have brighteners in your hunting togs, there’s only one way to remove them. However, after removing the UV brighteners, save some money by using the products mentioned in the last posting (Part 4*: Approved Detergents for Hunting Clothes). – Lots of hunters put their hunting clothes in plastic bags with leaves, conifer cones, etc., from the area they plan to hunt. The clothes absorb the odors of the plant material. – Wash yourself with non-scented soaps. – Do not smoke or drink alcoholic beverages before hunting. – Some hunters clean the clothes washer before washing their hunting things by washing a short wash with baking soda (as the detergent). This cleans the tub of all detergents, so no trace of UV brighteners will stain their clothing. – Some hunters swear by “earth scented” dryer sheets. Others dry their clothing outside. I tend to err on the side of caution and avoid the dryer, if possible. If there can be detergent residue in the wash tub, can’t there also be softener residue in the dryer? Disclaimer: I don’t sell any products I will mention in this series. This is strictly educational information. Four Separate Pieces to Cover the Entire Hunter! Nothing was said last time about buying hunting clothes that have UV Brighteners. This will be addressed in the next section — Having Clothes With UV Brighteners. Hunters aren’t the only group who want to avoid UV brighteners. The military and law enforcement have been avoiding these dyes for decades. 1) Are you using a generic or house brand of washing detergent? Then look on the label to see ‘compare to [brand]‘. For example: If your favorite grocery store chain detergent says on the label, “Compare this product with XYZ National Brand.” The store brand has the same ingredients as the national brand XYZ. Look at our list. If the brand is listed as “approved” then the generic is approved too. 2)Detergent brands are NOT going to list “UV Brighteners” as an ingredient. The two sites mentioned above and I have called detergent companies and asked questions. Country Save** ** 4MilitaryFamilies.com Approved! Rangerjoes.com offers excellent instructions (for the newbie-hunters). Special ‘thanks’ go to A. Hammond, 3rd IBCT RFG Assistant 10th Mtn Div, for compiling this info. 1) “Before washing, close hook and loop fasteners to prevent snagging. 2) Washing: Machine wash in cold water using Permanent Press Cycle or hand wash using a mild detergent that DOES NOT contain optical brighteners or fabric softeners. DO NOT USE CHLORINE BLEACH. Rinse completely. DO NOT WRING OR TWIST. 3) Drying: Hang dry or machine dry on low to medium setting …. Remove from dryer immediately. To drip dry, remove from water and place on rust-proof hanger. DO NOT STARCH or COMMERCIALLY HOT PRESS. Turning the garment inside-out — your clothes will last longer & there’s less wear on the pattern. Next time — For the Hunter with Everything, Including UV Brighteners! * More on these items later. ** Disclaimer: I don’t sell any products I will mention in this series. This is strictly educational information.